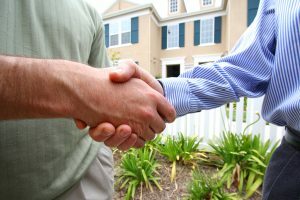 Over the years, after hearing realtor, after realtor tell us how happy they were to have found our services, it dawned on us that we really should start to focus on this aspect of our business. We understand that in almost every case Realtors are under time pressure and just want to get the question of “Do we have to replace the roof” answered so that more important things can be addressed. We offer to come out and do a full inspection at no obligation or expense to the homeowner and then will give an easy to understand report of our findings and of course include lots of pictures as well. 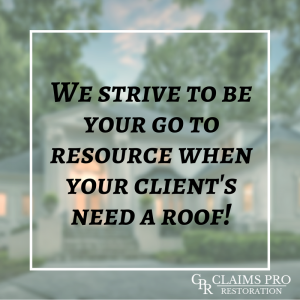 With our years of experience in storm restoration, we can quickly determine the overall condition of your client’s roof and deliver a full report with recommendation included on your specific situation. While at the property we can inspect the other common areas of the property that can be affected by storm damage. We strive to keep ahead of your tight schedules so that closing dates are not pushed out or deadlines missed due to busy contractors or poor time management. If a roof replacement is needed our on staff certified insurance adjusters can quickly determine if this can be accomplished via an insurance claim or if this should be done separately. Rest assured you will get a quick turn around and be able to focus on what makes you money while we focus on this aspect for you. We understand that not every roof needs to be replaced and you can rest assured you will get our honest opinion when we are at the property. Not only does that help to build trust with your clients, but more importantly saves you time. Reach out to us today and we would be happy to set up a meeting for you and your team.